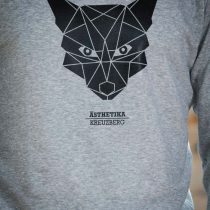 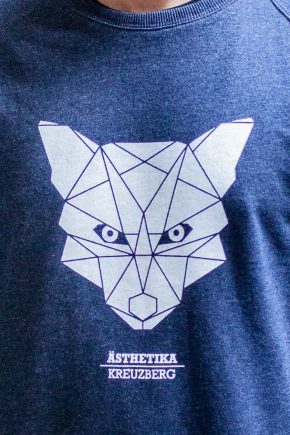 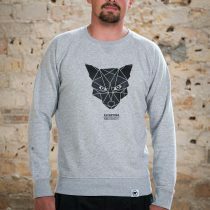 Straight cut sweatshirt made of organic cotton and recycled polyester, with FOX motif. 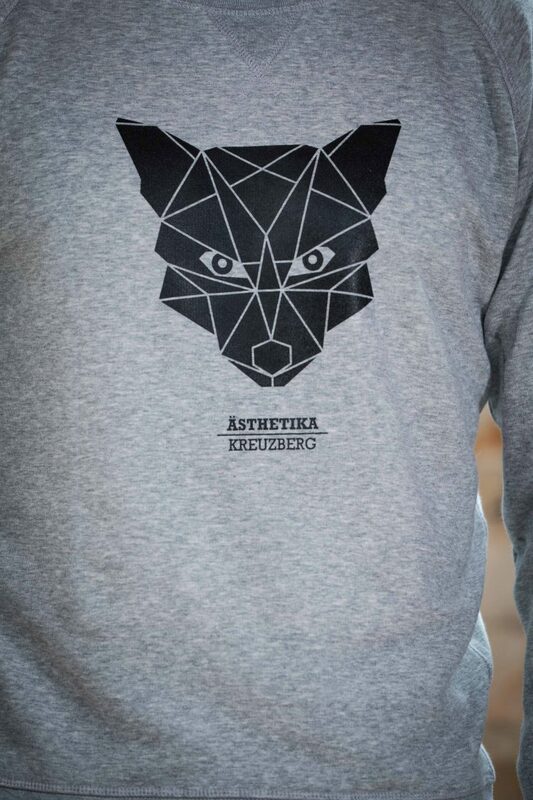 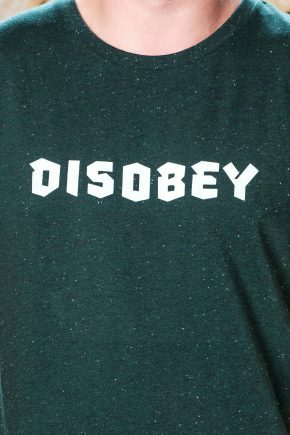 The sweatshirt is hand-printed on our screen printing machine, in our Kreuzberg store. 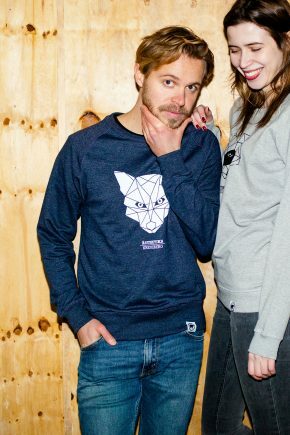 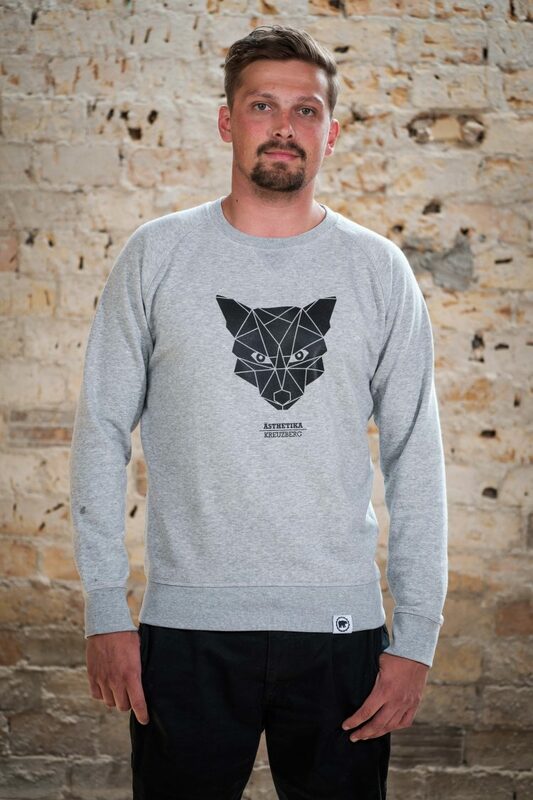 This is our super soft FOX sweatshirt for men or women. 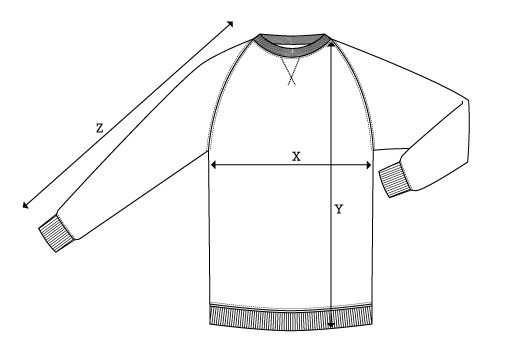 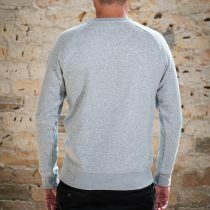 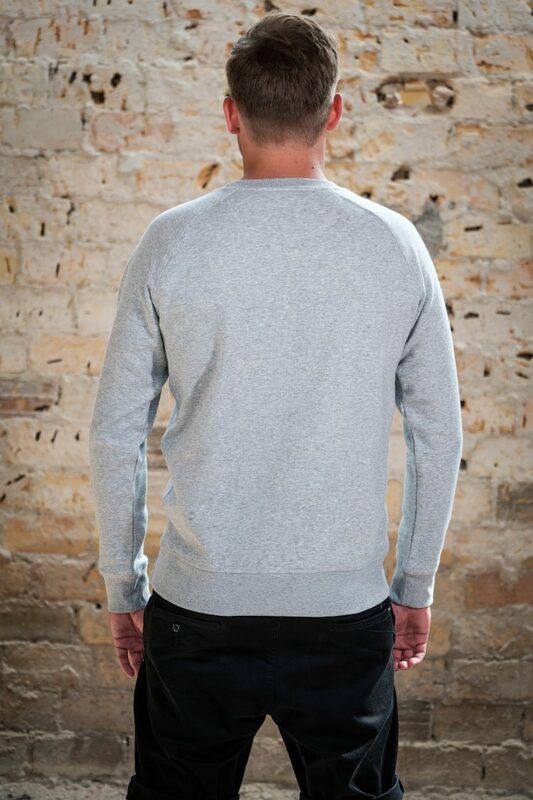 Straight cut with a round neckline, also known as “Crewneck”. 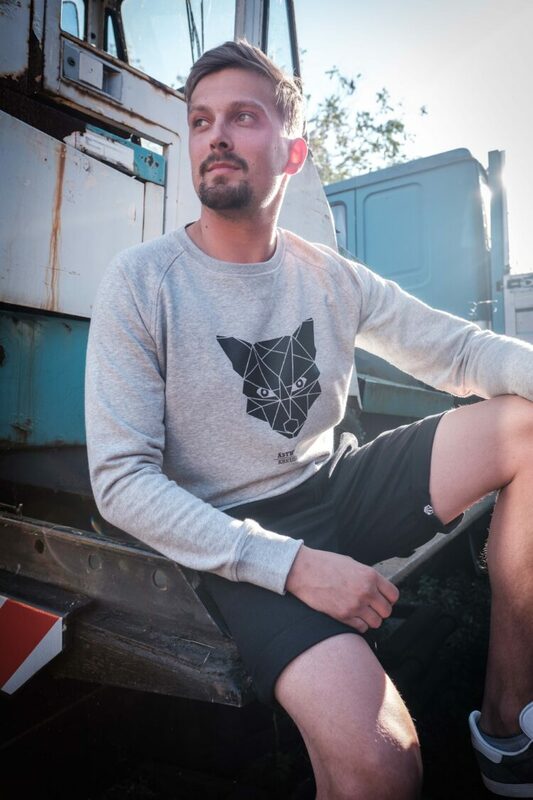 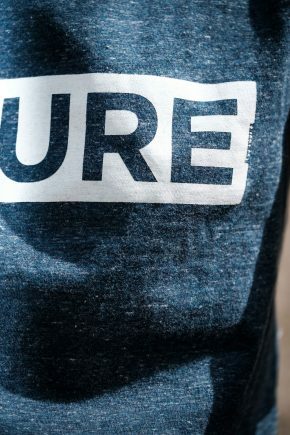 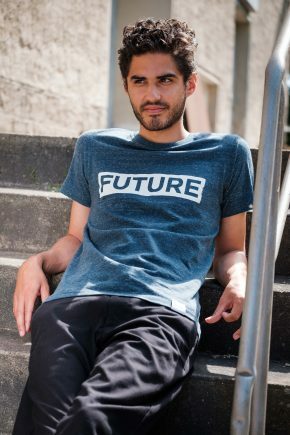 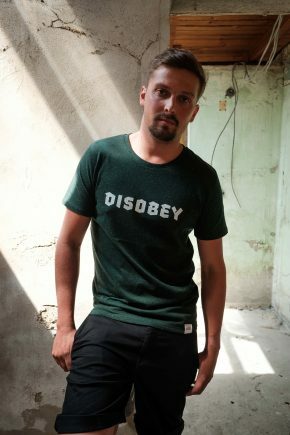 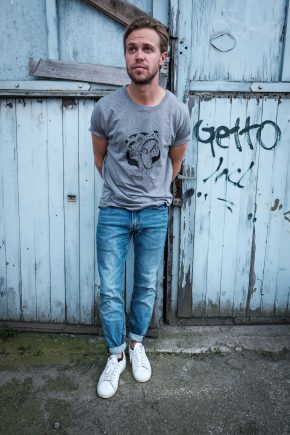 Like all our products, this sweatshirt is environmental and social friendly manufactured: It is made of 85% organic cotton and 15% recycled polyester. 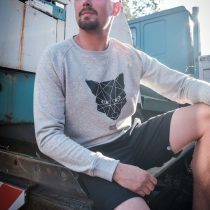 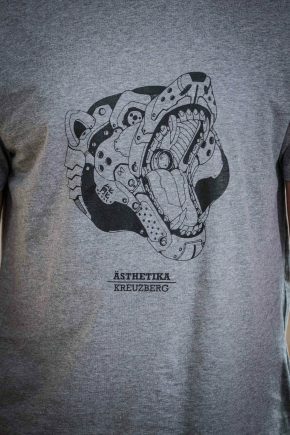 The geometric motif is hand printed on the grey mottled sweatshirt, by us using our screen printing machine with black GOTS certified color.